“Georges-Louis Lemoine”. Sister Sainte-Ursule Coote (1857-1898). 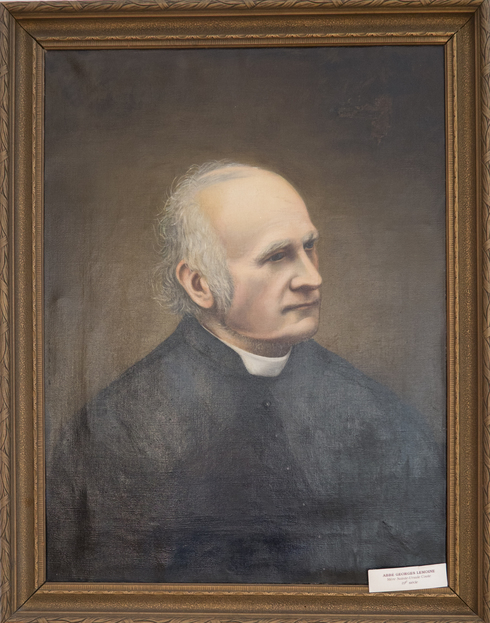 George Louis Lemoine began serving the Ursulines of Quebec as chaplain in 1854, as the successor of Thomas Maguire. Thanks to his work and the efforts of his predecessor, our boarding school became one of the most prestigious of its kind in North America by the end of his mandate in 1888. He also contributed to the first book about the history of our community. Abbot Lemoine himself oversaw the writing of this book to ensure that its contents were true.